Stay connected and get the latest Planning Academy schedules and session updates sent right to your inbox. 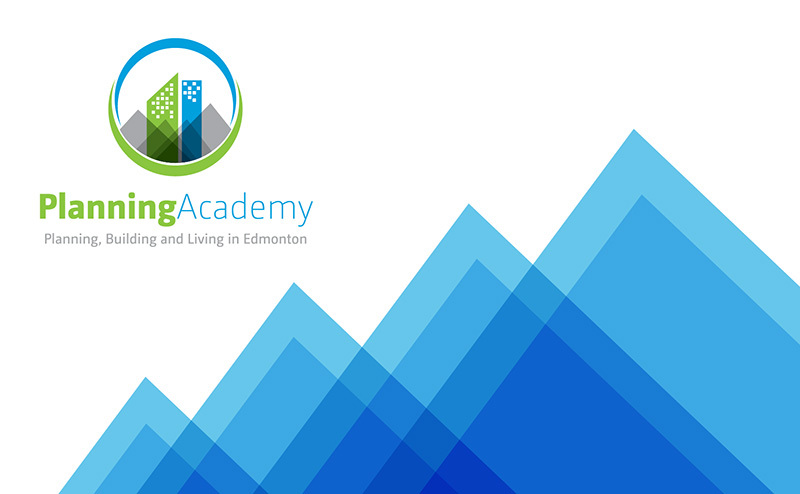 The City of Edmonton’s Planning Academy offers a series of modules designed to provide a better understanding of the planning and development process in Edmonton. Planning Academy consists of seven facilitated courses. These courses are offered free of charge and opened to anyone interested in learning about the growth and changes that Edmonton is experiencing. You will closely examine how different cities around the world have historically planned and developed their land, comparing them to Edmonton’s history of planning and development. In this course, you will be introduced to the basics of land use planning within Edmonton, learn about urban planning and how city planners accommodate the interests and values of each community. This course takes a closer look at the development and zoning process within Edmonton. You will learn about the laws that govern land use planning, where they come from, and what they do. You will study how planners implement regulations to manage the development and zoning in Edmonton while still taking into consideration the roles, rights and interests of stakeholders. Come Plan with Us outlines how you can get involved in the planning process to demonstrate your support or opposition to for development projects. The course explains the public notices the City provides and your options for participation within the planning process. To help you maximize the impact of your participation, you will learn tips on how to make effective presentations to Council and will be given an opportunity to practice what you have learned. Learn the basics of how modern transportation network components fit together, the City's structure to plan a transportation network and how Edmonton integrates transportation into the rest of its planning processes. Cities are more than just buildings, streets, open spaces and people. They are the major hubs for the exchange of goods, services and ideas. Why cities look the way they do, how they affect us and what can we do to make them better are all primary concerns of Urban Design. Transit-Oriented Development (TOD) is an exciting approach to building a city that can help to achieve Edmonton’s vision of a more compact, transit-oriented and sustainable city, where more people walk, cycle and use transit than they do today. It integrates transportation, land use, and development by concentrating housing, shopping, and employment along a network of walkable and bikeable streets. This course defines Residential Infill and what role it plays in the City of Edmonton’s growth plans. You will gain an understanding of the factors the City considers when planning for and reviewing Residential Infill applications, and the general policies and processes that currently exist within the City for developing Residential Infill.